On 16th January 2018 we submitted a planning application for Phase 1 of the Parkside Development. This project will enable lasting benefits for the local community. 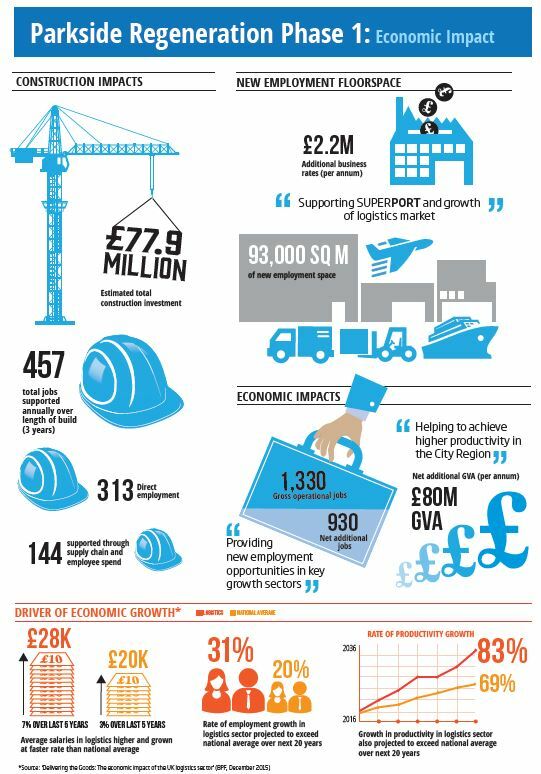 £80m a year of new economic activity to the City Region. Both construction jobs and up to 1,300 permanent new logistics and manufacturing jobs with potentially thousands of jobs in future phases. Regeneration of former colliery site. An additional £2.2 million in Business rates to St Helens Council once fully operational. Around £73.5 million invested in construction. 413 temporary construction and supply chain jobs during the site build. 93,000 sq m of new employment floorspace. Improvement of green space and landscape.